The most time consuming preparation is done on the day you break down a chicken, but also the rewards are worthwhile. For me, making chicken stock can be a relaxing, calming activity on a rainy day. Besides, chicken stock is a base for many dishes – Korean or not – so it’s always good to have some in the freezer. While you’re making chicken stock, enjoy the giblets in spicy-sour gochujang sauce. Then your treats begin on another night. 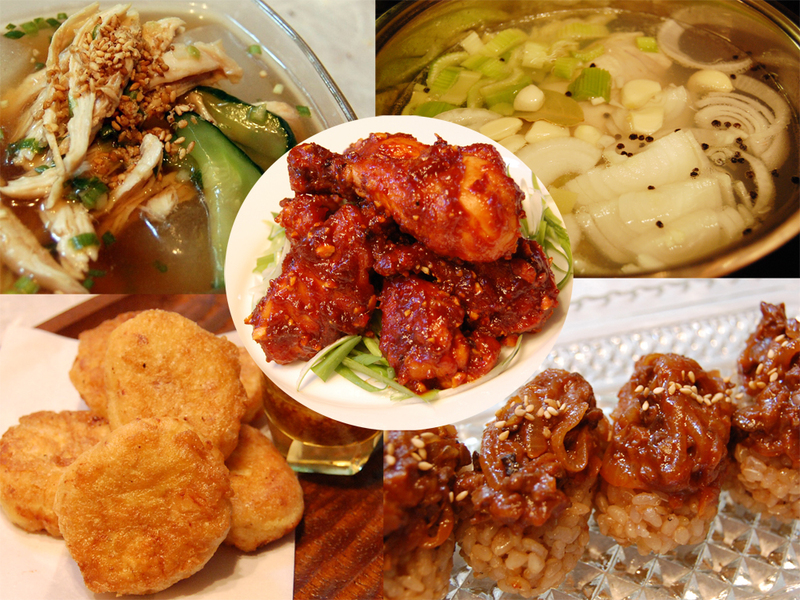 Good as banchan (반찬; side dish accompanying rice), but if you are looking for some Korean Fried Chicken anju (안주; side dish accompanying alcoholic beverages), here is one that’s updated from my mom’s version. Don’t forget about our own chicken nuggets with a couple of simple, healthful ingredients including tofu and potato cream, dipped in honey-mustard sauce! The funniest thing I’ve gotten in the last week while running this chicken series was a spam mail from a chicken feet importer. In case anyone is wondering, I am not affiliated with any chicken business whatsoever.